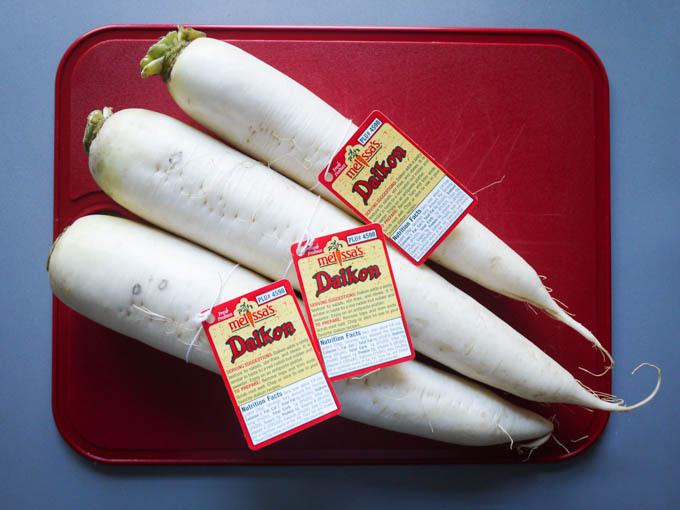 I’ve never heard of daikon radishes. Would you say they are mild? 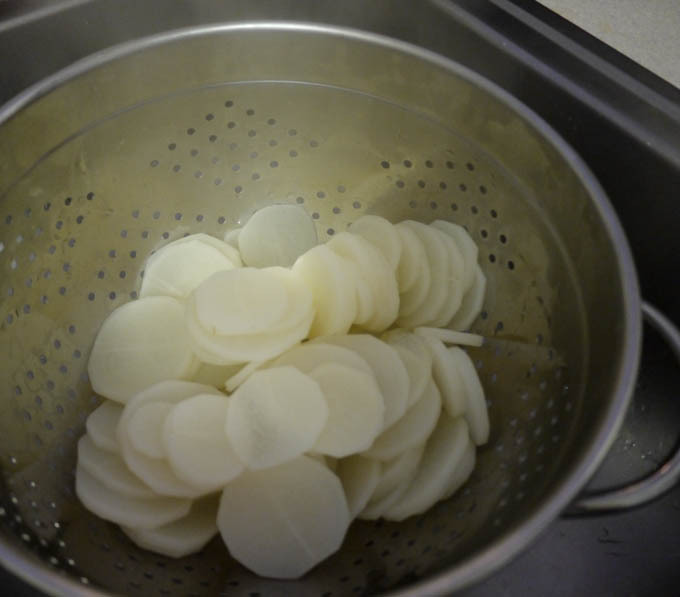 I never would eat red radishes as a kid, but I don’t know if these are completely different. 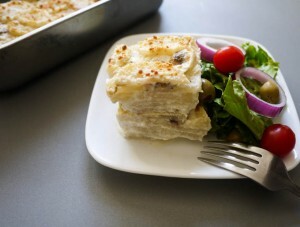 This dish looks so good and comforting, even though I am one who would skip the anchovies! Hey looks good but I don’t see the point for anchovies. Do u think it is important? Thank you. This seems like a perfect HFLC recipe. 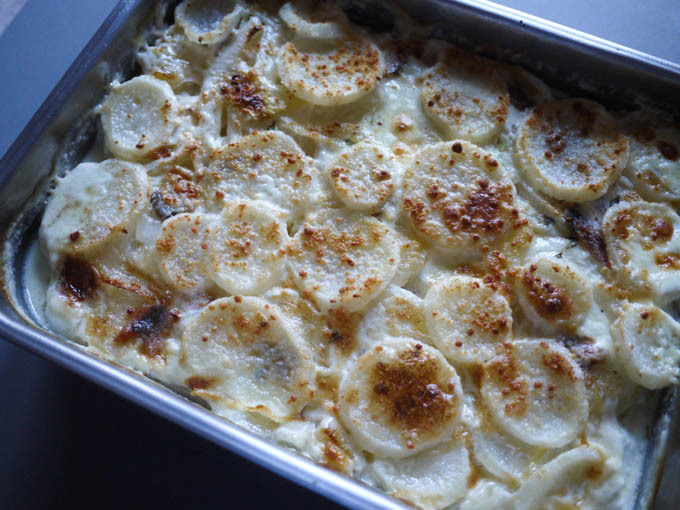 One thing I really miss is a potato gratin, so I will definitely try this! I like the thorough way that you prepared this blog. 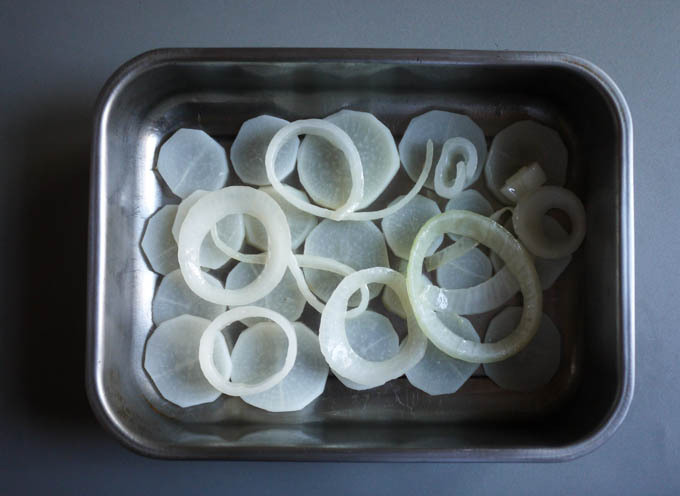 For example, I was half-way through and wondering how to slice the Daikons and whether to boil after slicing. Then I scrolled down and saw all of those lovely photos. Good work. 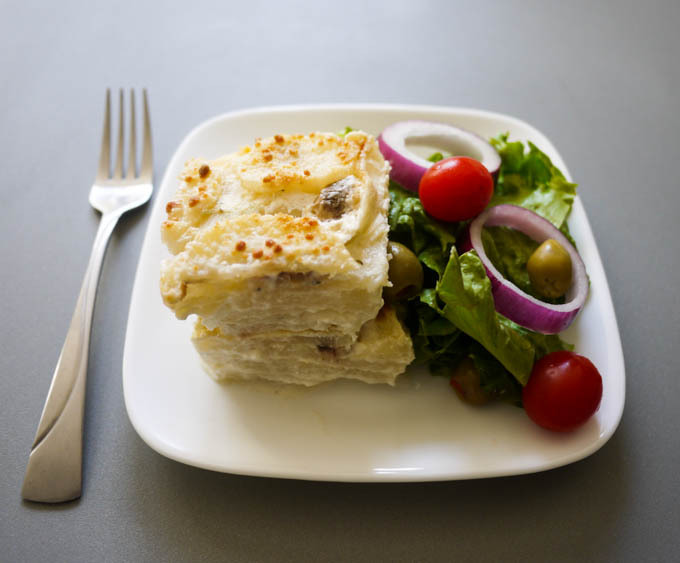 Tekesha – The Swedish dish Jansson’s Temptation is not made with anchovies. 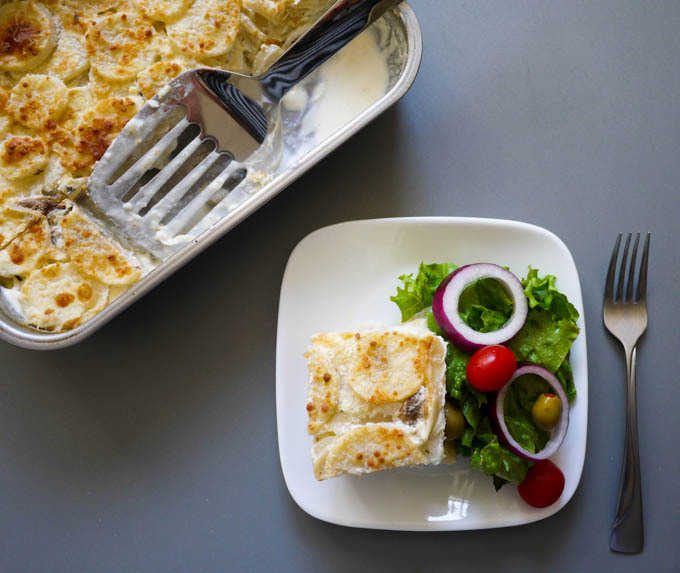 It is made with ansjovis which is the Swedish word for sprats. 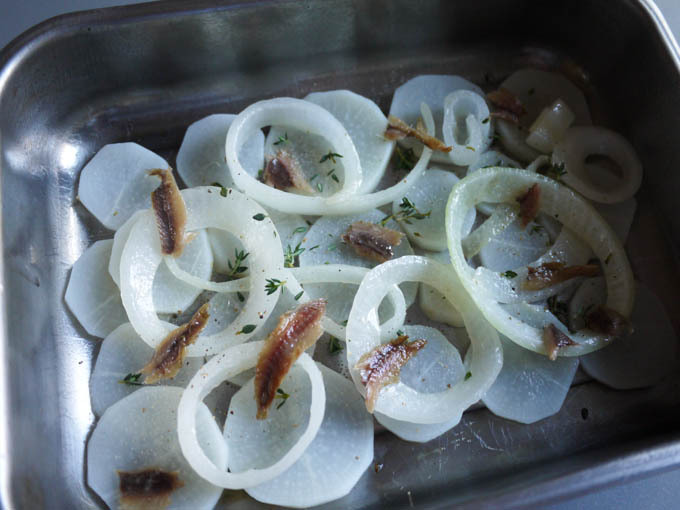 To get a taste more like the true dish, try soaking the anchovies for a few hours to get rid of most of the salty taste. The sprats used in the Swedish Jansson’s are usually canned in a lobster-flavored sauce which makes the fish slightly softer-tasting. 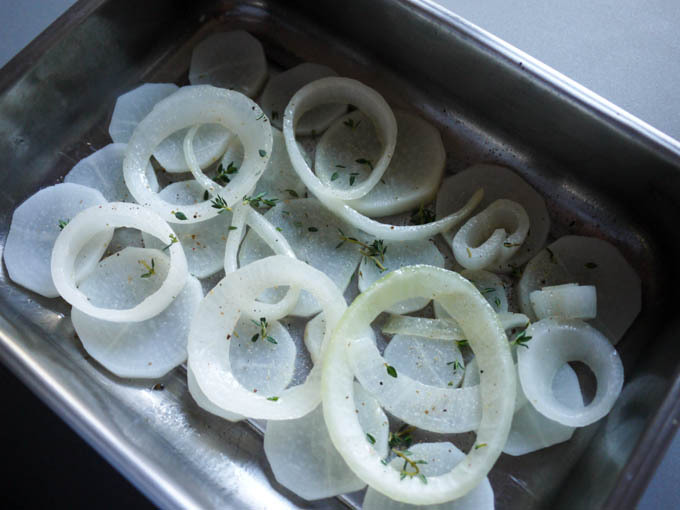 To get the desirably crunchy topping, you dot butter over the fish, onion and potato (in this case radish) and put it in the oven for 15 minutes. 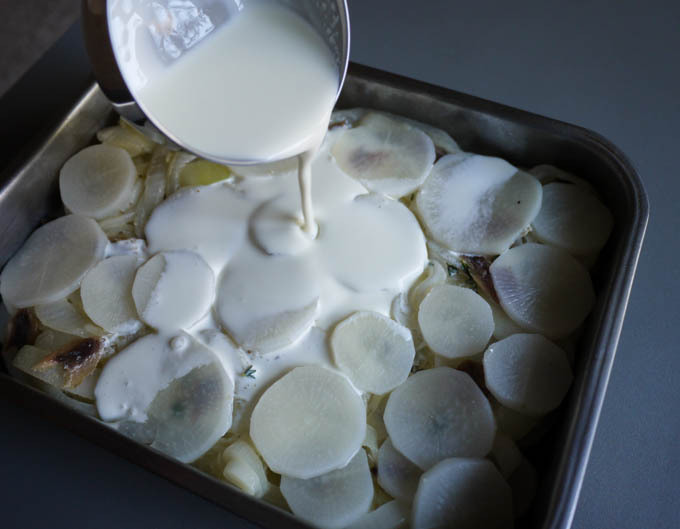 THEN you add the cream and finish the cooking. I have Skaldeman’s book, too, but in Swedish so don’t know if the translation says anchovies. 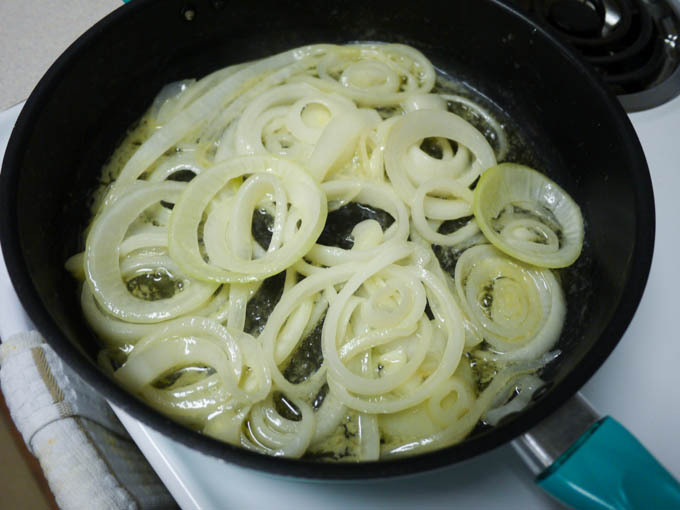 It is a common mistake in many copies of the recipe :0) If you like it the way you made it, I don’t see anything wrong in preparing it that way. 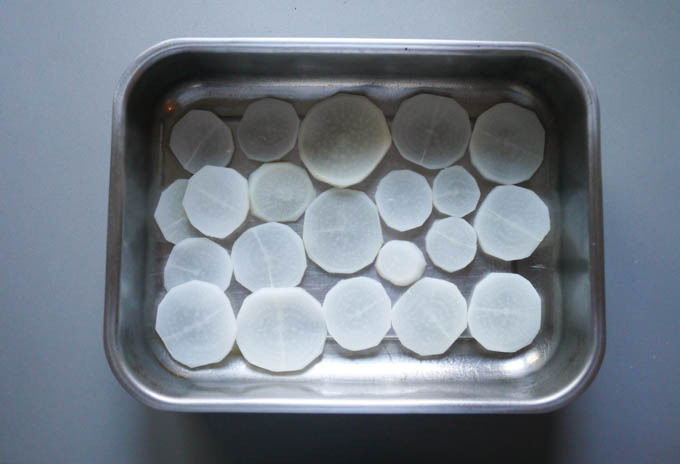 However, if you ever want to try the classic version (the one you’ll find on a Smörgåsbord in Sweden if you one day visit the country), you know that one, too, now :0) I haven’t lived in Sweden for many years but bring back the Swedish ‘ansjovis’ when I visit. I am so excited to try this for the holidays! 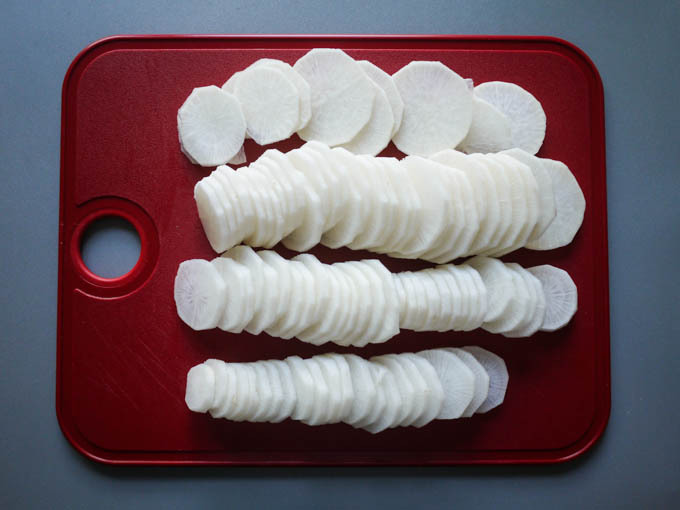 I completely forgot about daikon and i have a feeling i will be using it a lot more in future meals! What a great low carb option. Texturaly it looks perfect! I went to Sweden and totally forgot about this dish. It is so delicious and i cant wait to have it again!